Russia does not distinguish between the various levels of civilization, or between racial and religious differences. In theory the Empire is one and indivisible, and every one has the same rights (or absence of rights) and the same duties, except in the case of the Poles and the Jews who are in a position of exceptional disability, and of the Finns who, until a few years back, enjoyed a wide measure of autonomy which they have recently regained. The Russians have none of that feeling of racial superiority over their non-Russian subjects, even when the latter are of a different religion and colour, such as the English feel with regard to the natives of India. A Georgian, an Armenian, an Osset, even a Tartar or a Persian may aspire to the highest ranks in the army or the bureaucracy. Russian soldiers, officers, and officials have no repugnance to serving under a non-Russian chief, whether he is white, brown, or yellow, Christian or Mohammedan. Thus we find Georgian generals like Prince Chavchavadze and Prince Orbeliani, Armenian generals like Lazareff, Loris Melikoff, Argutinsky, and Tergukassoff, Tartar generals like Alikhanoff Avarsky, Georgian governors like Tsitsiani and Nakashidze, not to mention many officers and civil servants of lower rank. Nor is there even any objection to non-Russians receiving appointments among peoples of their own race. Socially, too, they are treated as equals, and Georgian, Tartar, and Armenian magnates are received in the highest circles of Russian society, and even intermarry with the Russian aristocracy, although intermarriage does not occur between Christians and Mohammedans. But in order to obtain these advantages, a native of the Caucasus must conform with Russian ideas and become more or less Russified, and almost forget his own nationality, not because the Russian is a chauvinist, but because he suspects the loyalty of every one who is not a Russian in sentiment if not by race. This is a beautiful performance of the “Our Father” from Sergei Rachmaninov’s setting for the Divine Liturgy of St. John Chrysostom. The icon of Christ is by St. Andre Rublev. Spend five minutes in heaven. 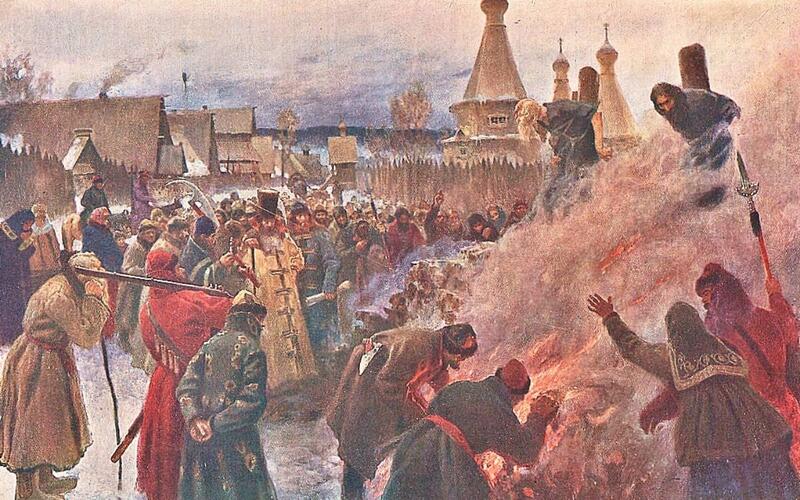 The raskol, or great schism, of the Old Believers, or Old Ritualists, from the Russian Orthodox Church in 1666-7 is one of the most important events in the history of the Russian Orthodox Church. As the only major schism in the history of Russian Orthodoxy, the raskol has had a significant effect on the self-image of the Russian Orthodox Church. In addition, a study of the history of the schism is also helpful in illuminating certain aspects of the nature of faith and worship in Eastern Orthodoxy as a whole. “The matter” of correcting the service books “was taken up … with great vigour by the Patriarch Nikon.”6 In 1653 and 1654, Nikon led the push to correct the Russian service books, bringing them into conformity with contemporary Greek Orthodox practice. Among the changes made were altering the way the sign of the cross was performed by a believer from using two fingers to using three, changing the number of loaves of bread used for the Eucharist from seven to five, changing the way that bows and prostrations were done during prayers, and altering the Russian spelling of the name of Jesus. This new self-awareness following the raskol allowed the Old Believers, in the eyes of Russian Orthodox, to act in a manner similar to the “virtuous pagan” in medieval Christianity, as a source of inspiration through shame which should prompt the Christian to better behavior. That most of the changes against which the Old Believers caused a schism in protest were so apparently miniscule is another element of the raskol which helps to shed light on Eastern Orthodoxy as a whole. 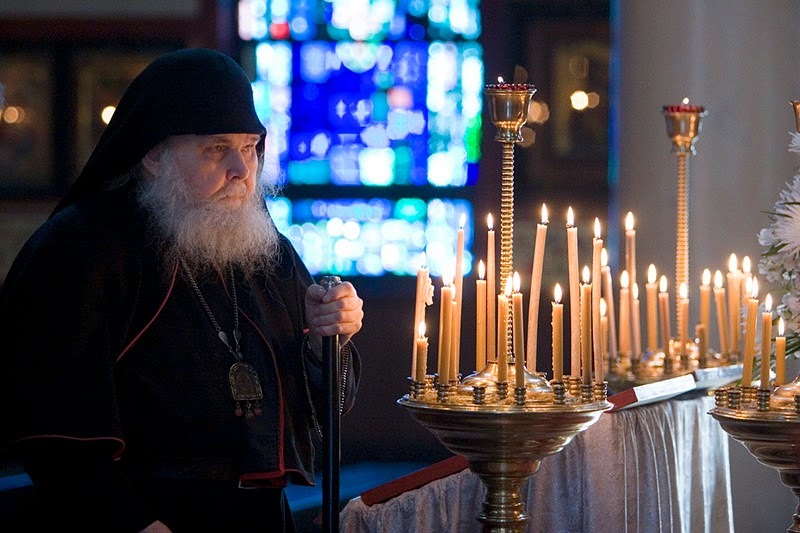 The importance of liturgy and ritual can be seen throughout the history of Russian Orthodoxy and of Eastern Orthodoxy in general. The root words for the Greek word “orthodox” are “orthos,” meaning “right,” and “doxa,” which can mean both “belief” and “glory.” This latter meaning of the word “doxa” is reflected in the Slavonic translation for the word “Orthodox”: “pravoslavie,” meaning “right praise.” Similarly, it is significant that the story most commonly told about St. Vladimir’s decision to convert Kievan Rus’ to Orthodox Christianity is a story about Orthodox worship. 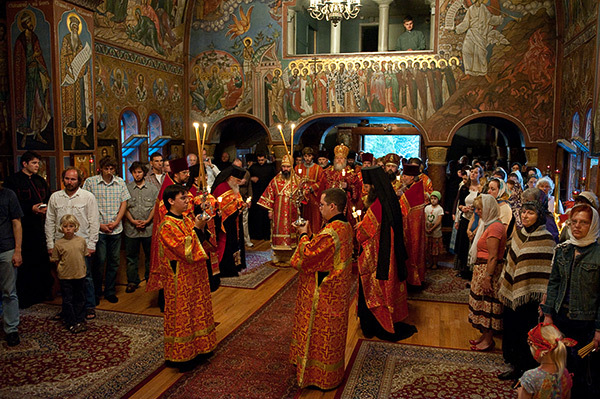 It is only with an awareness of the profound importance with which the act of worship is regarded by Eastern Orthodox believers that passages like this and the raskol as a whole become understandable, and the raskol in turn highlights this aspect of Eastern Orthodox faith just as it highlights its essentially conservative nature. The Old Believers, in all of this, have been able to act as a mirror for the mainstream of the Orthodox Church by which it has been able to measure itself in comparison. Their continued existence in Russia and elsewhere to this day continues to allow them to be seen this way by the mainstream of Orthodox Christianity. 2 Nicholas V. Riasanovsky and Mark D. Steinberg, A History of Russia, Eighth Edition (New York: Oxford University Press, 2011), 196. 5 Bernard Pares, A History of Russia (New York: Dorset Press, 1953), 164. 7 Riasanovksy and Steinberg, 199. 9 Helen Bacovcin, trans., The Way of a Pilgrim and The Pilgrim Continues His Way (New York: Doubleday, 2003), 112. 11 Riasanovsky and Steinberg, 200. 13 Timothy Ware, The Orthodox Church: New Edition (New York: Penguin Books, 1997), 198. 14 Thomas Riha, ed., “Avvakum’s Autobiography,” Readings in Russian Civilization, Volume 1: Russia Before Peter the Great, 900-1700 (Chicago: The University of Chicago Press, 1969), 139. Bacovcin, Helen, translator. The Way of a Pilgrim and The Pilgrim Continues His Way . New York: Doubleday, 2003. Riasanovsky, Nicholas V. and Mark D. Steinberg. A History of Russia, Eighth Edition . New York: Oxford University Press, 2011. Riha, Thomas, editor. Readings in Russian Civilization, Volume 1: Russia Before Peter the Great, 900-1700 . Chicago: The University of Chicago Press, 1969. God faceless, with a trinity of faces! Thou, called by us God. Thou can’t be summed or fixed! Thou shinest forth within thyself. All light originates in thee. Thou wast, thou art, and thou will ever be! Thou nourish and sustain it. Thou joinest starts with ends. 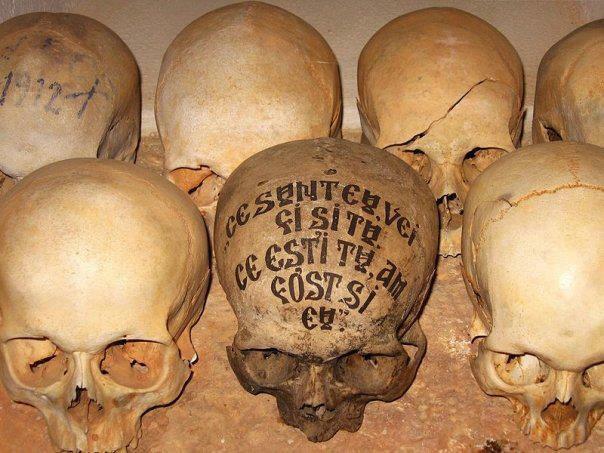 Thou bringest life to all through death. In flowing streams of sparks. As do the stars beneath thy vault. And cast their vivifying rays. Compare to thee like night to day. Is like a droplet in the sea. What is this universe I see? And what am I, compared to thee? So I, compared to thee, am naught. Like sun inside a tiny water drop. I’m always soaring high above. If I exist – thou art as well. Thou art – And I’m no longer naught! Through me, you fused the chain of life. I’m king – I’m slave – I’m worm – I’m God! Whence did I come? – that no one knows. One course alone can follow. And shed our tears of gratitude. An interview on science, religion, and humanity with Dr. Daniel Buxhoeveden, adjunct and research professor of anthropology at the University of South Carolina at Columbia.